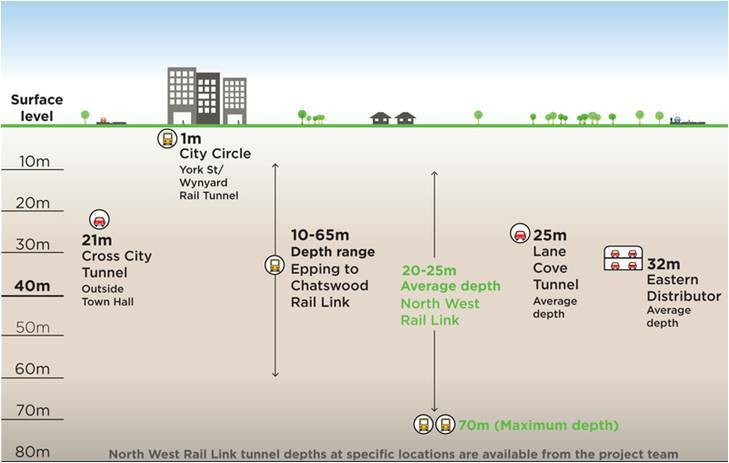 The New South Wales Minister for Transport recently announced that North West Rail Link will be a 23 km fully-automated rapid transit system with driverless trains, platform screen doors and high-tech customer safety and security measures. 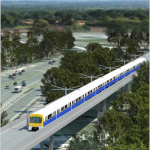 “Fully-automated train technology has been in use around the world for 30 years, keeping customers safe and ensuring rapid transit systems like the one we are building operate fast and efficiently, while catering for future growth. Automated systems deliver safe, efficient and reliable train services in global cities like London and Barcelona, with even higher levels of automation in Paris, Singapore and Dubai, and now Sydney will also finally have its own world-class network. 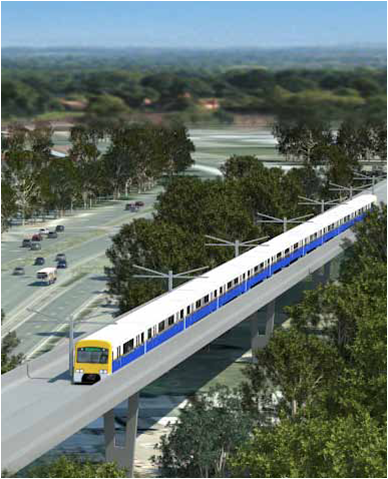 This technology is focused on safety and reliability – there’s no point building a 21st century system with 20th century technology in it. 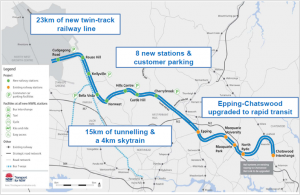 Our focus is on getting staff where they are needed – like answering customer questions on the transport system and giving advice on connecting services,” Ms. Berejiklian said. 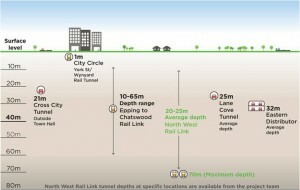 The North West Rail Link is one of the largest transport infrastructure projects ever undertaken in Australia. 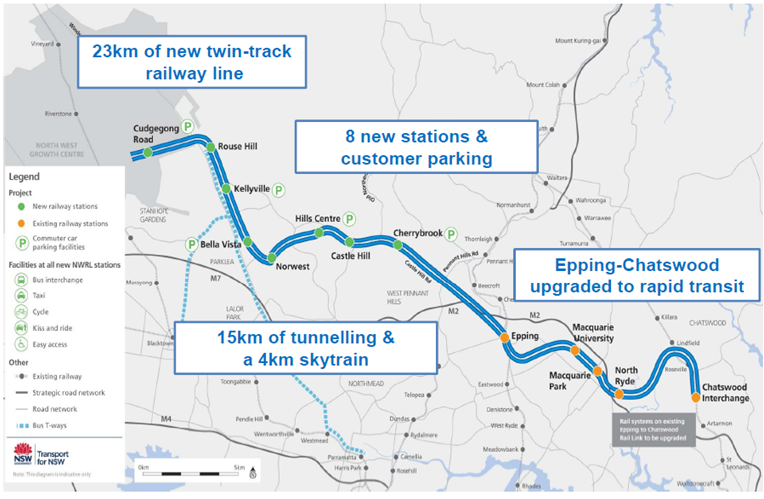 It will have 8 new stations and 23 km (15 km in tunnel and a 4 km skytrain viaduct) and will incorporate the existing 13 km Epping to Chatswood Rail Link into the new project, including converting and upgrading existing systems on this line.